This learning based programme is modeled around the principle, that through doing and involvement understanding is gained. The ORBITAL programme is aimed at junior cycle students in post primary education. On one day forthnight they are extracted from the classroom environment and are taken on an educational trip which is linked to elements of the particular Syllabus they are currently working on. Maths; English; Geography; Art; History Numeracy and Literacy are all addressed during the outdoor days. The outdoor days rotate between adventure education; environmental education and community studies. Subject worksheets or study cards are built into th eoutdoor programme and these are revisited back in the follow classroom subject studies. The programme incorporates all three learning styles; Visual, Auditory & Kinaesthetic. 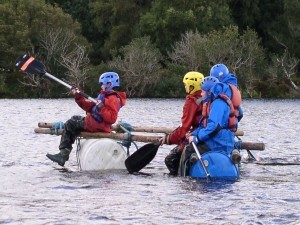 The enthusiasm generated by the outdoor days both prior to and during the excursions provides a catalyst for learning in and out of the classroom. School retention and attendance figures have benefited from involvement in this programme.